Did Ancient Potters Play Backgammon? 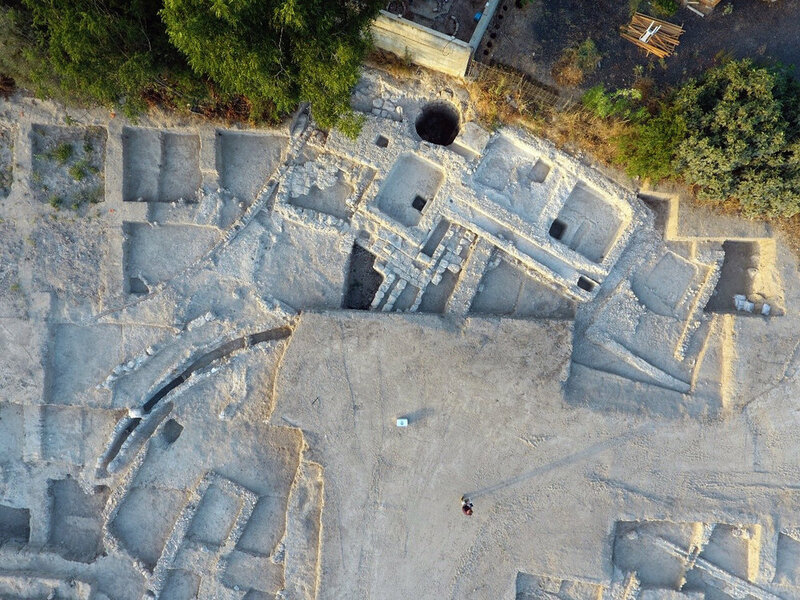 For the past year and a half, the Israel Antiquities Authority (IAA) has conducted massive excavations near Tel Qatra, an ancient site just north of the modern city Gedera. 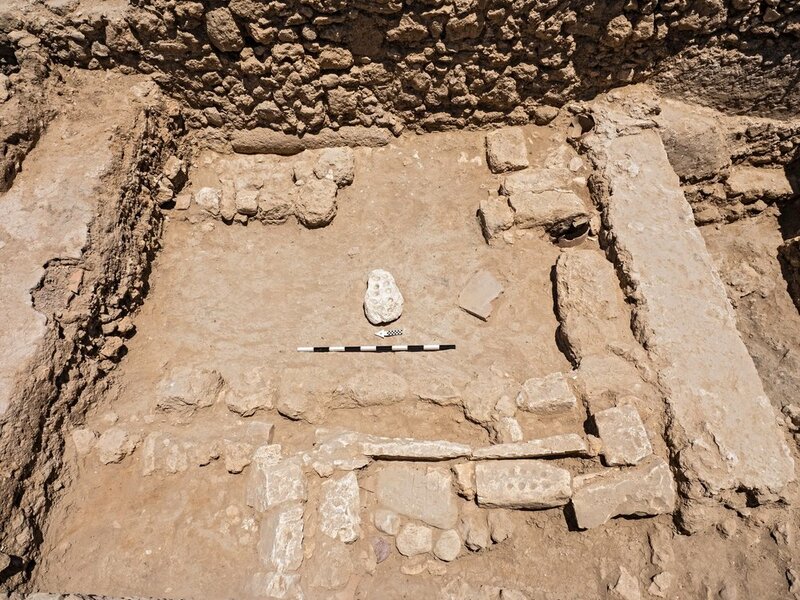 Funded by the Israel Land Authority, the IAA has discovered structures including Byzantine bathhouses and about 20 mosaic paved pools. Recently, however, excavators uncovered a massive storage jar factory which operated between the 3rd and 7th centuries CE. Even more intriguing was the unusual discovery of an adjoining room which contained game boards hewn into the bedrock. Could this have been an ancient recreation room? If so, what sort of games did the workers play? Four game boards were discovered in total. According to Alla Nagorsky and Tamar Harpak who are directing the excavation on behalf of the IAA, the boards resemble the modern games of mankalla and backgammon. “Three of the boards were found in a long storeroom and one near a bench,” the directors said, “as if the players had just left for a minute.” Within the same room, excavators recovered fragments of glass bowls and cups in a “cupboard-like unit.” It appears that the space was used for the recreation of the individuals working in the adjacent ceramics factory. It’s no wonder that the potters needed a break from time to time! 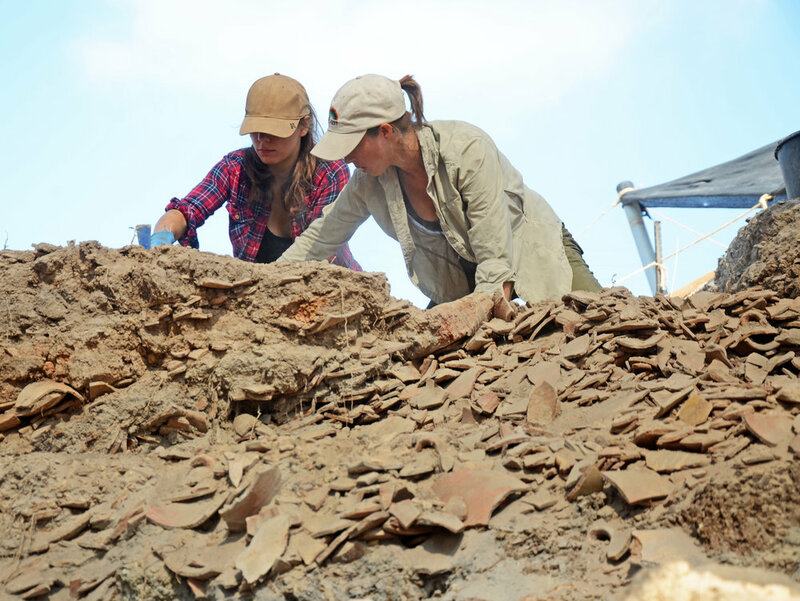 Massive piles of storage jar sherds are estimated to represent about 100,000 Gaza Jars, according to Nagorsky and Harpak. The factory operated continuously for over 600 years, indicating it may have been a family business handed down from generation to generation. This mass production center was most likely an accommodation for the area’s flourishing wine-making industry. Gaza Jars were primarily used to store wine which was exported to a network of neighboring countries. It is also possible that the recreation room was used by those visiting the luxurious baths nearby. Excavators discovered a massive stove which heated water for one of the bathhouses, and a stunning mosaic portico attached to another bathhouse. The extent of the water system leads archaeologists to suppose that it served both the local population as well as travelers, who no doubt frequented this site. Gedera is located on the main road connecting the port of Gaza with the center of the country, which also justifies the existence of such a large storage jar manufacturing center. Alla Nagorsky speaks about the discoveries at Gedera (Hebrew). Film credit: EYECON, courtesy of the IAA.